Longtime Braves Minor League coach José Mota, who most recently worked with Triple-A Gwinnett, has died at the age of 53. 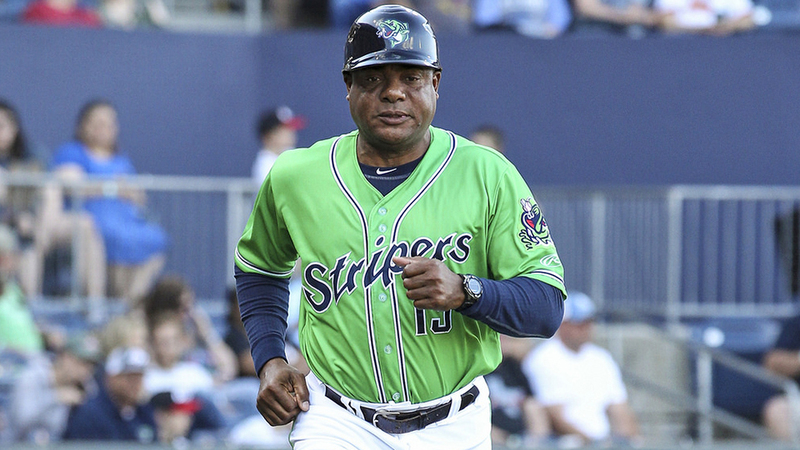 The Stripers announced he passed away suddenly Tuesday night in his native Dominican Republic, where Mota had been working as the infield coach for Estrellas Orientales in the Dominican Winter League. The Estrellas said that Mota died of a heart attack and that burial services would take place Wednesday night in Mota's hometown of San Pedro de Macoris. Club players and coaches would wear black ribbons on their uniforms in remembrance of the deceased coach. Mota played two seasons as an infielder in the Braves system in the Gulf Coast League in 1985 and 1986. He later became a Minor League coach working with Atlanta prospects, spending several seasons with the organization's Dominican Summer League club. He worked with Class A Rome in 2013, Rookie-level Danville in 2014, Class A Advanced Carolina in 2015 and Gwinnett for a bit in 2014 and for three seasons from 2016-18. In total, he spent 22 seasons as a coach in the Braves organization. Mota is survived by his wife, Alba, and four children: José Jr., Dayosel, Henry and Dorismer. "We offer our deepest condolences to José's family and friends," Gwinnett said in a statement.